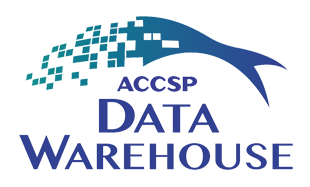 The Data Warehouse is an online database populated with Atlantic coast fishery-dependent data supplied by the ACCSP's 23 program partners. The Warehouse harmonizes all of the data received into one set of codes for variables such as species, gear, and fishing area, making it possible to combine datasets from different sources for larger scale analyses. What is the data load process? Commercial landings data represent the best compilation of state and federal landings submitted by both dealers and fishermen. 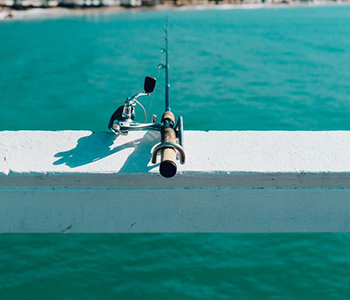 Commercial Catch and Effort (trip reports) are fisherman reports, or logbooks that typically have good effort data (area/gear) but in most cases do not represent 100% of the fishing activity (pounds landed). 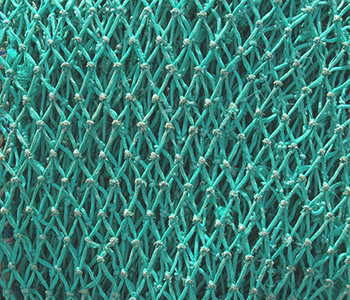 ACCSP has Biological sampling data for American lobster (1981-2016) and Atlantic herring (2002 - 2016) available via custom data request. ACCSP has recreational catch and effort data starting in 1981 available via the Data Warehouse. 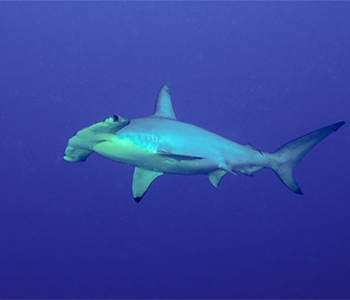 The data since 2004 have been updated in conjunction with the new Marine Recreational Information Program estimation methodology released in February 2012. This includes both the public estimates and the advanced queries for bag limit analysis and directed trips. Which Data Warehouse should I use? If you have a unique question or cannot retrieve the data you desire from the Data Warehouse, you can submit a custom data request. The Data Team will work with you to develop a custom dataset that suits your needs. To submit a custom data request, please click below. Atlantic Coastal Cooperative Statistics Program. (Dates of data by year). Nested Menu Title; generated by John Doe; using Data Warehouse [online application], Arlington, VA: Available at https://www.accsp.org; (Login or Public) Data Warehouse; accessed (month, day, year). Atlantic Coastal Cooperative Statistics Program. (2007-2016). Data Warehouse, Confidential, Fishermen Trips, Summary; generated by John Doe; using Data Warehouse [online application], Arlington, VA: Available at https://www.accsp.org; Login Data Warehouse; accessed (June, 28, 2017). Atlantic Coastal Cooperative Statistics Program. (2017). 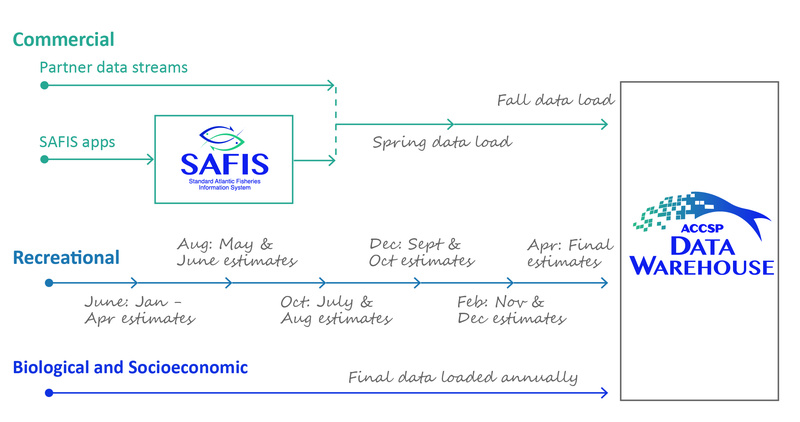 SAFIS, SAFIS Landings, Summary; generated by John Doe; using Data Warehouse [online application], Arlington, VA: Available at https://www.accsp.org; Login Data Warehouse; accessed (May, 16, 2017). Email support@accsp.org and ask to have your password reset. Please remember to include your full name in the email. You will receive an email with instructions and be required to change your password upon the next login. Confidential data are data that can lead to the identification of either individuals or individual contributions. Federal and state laws prohibit the disclosure of confidential data. For more information, see our Data Warehouse section on confidentiality. What do Reported Quantity, Landed Pounds, Pounds, and Live Pounds mean? Reported Quantity: The amount of landed product originally reported by the dealer or fisher, given as a particular unit of measure (eg. pounds, meat-pounds, numbers, bushels, quarts). Landed Pounds: The calculated poundage of landed product in its originally-reported processed state (eg. gutted, whole, fillets, claws, tails) as “pounds” for finfish and as “meat-weights” for shellfish. Pounds: Shellfish product presented as meat-weights (no shell), and finfish product presented as whole-weights. Live Pounds: The calculated total poundage of product as a whole-weight for both finfish and shellfish (includes shell). Should I look at Dealer Reports or Fisherman Trips? It depends. Dealer reports have true weights, market and grade categories and price information but are generally not required to have detailed fishing area and gear information. Dealer reports are more complete for total landings. Fishermen reports have better effort information (fishing area and gear) but weights may have been estimated by the captain. Fishermen reports are best used for questions such as “How much of species X was caught in fishing area 611 (Long Island Sound)?" When should I use a custom data request? If you have a unique question or cannot retrieve the data you desire from the Data Warehouse, you should complete this Custom Data Request Form. A staff member from the Data Team will work with you to create a custom data request. What do I need to know when I submit a custom data request? The most important thing is to have a well defined question. Know what species, geographical span, temporal span, gears, etc. are relevant to your query. You should also be able to define your fishery. The term fishery can refer to harvest of a particular species with a specific gear or be defined by a precise geographic area. The Data Team will respond to your request within two weeks. However, issues with confidentiality and partner clearance can extend this turn-around time. Please allow for this lead time when you are submitting a custom data request.